Consisted of selecting alternates of 6. A 1. Male. Went to a trip to Vegas, passed out (I suppose with drinking and partying) said hes doing again at the weekend. His experience with “Drug use” is from he prior employment as Parole agent, rehabilitation programs. Puts users into drug rehabilittin facility instead to prison, gives them an option. Follow up to make sure they attend, and complete their program, if failing takes tehm before the parole board to decide what to do with them. Now works as Insurance fraud inspector, being an inspector is experienced in basing decision on facts. A 3 Hispanic Female. Says she has not seen any cases before, is interested in what and how it will be presented. Feels some amounts awarded are large, but they have to go on what is presented, hasn to problems awarding high dames, if she was in that position would consider 100% to sue for wrongful death lawsuit, depending on the medical bills etc., and based on evidence. Feels those addicted to prescription drugs can over come with lots of will power. But wants to listen to what both sides present. Saw TII documentary, says its was ok, was based on his last day at rehearsals. Seen things in media thought Michael died due to too much medication. But changed her mind now because she does not have all the facts. A5. Male. 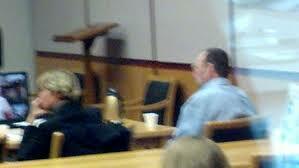 Works for AT&T feels he is pressured into sell, sell, sell, works as customer service, does know juror number 4. Basically feels the same as her about his work, somewhat, didn’t really have any opinions on anything from the questionnaire. Can be impartial. A 6 Asian Male. Consultant for IBM for past 3 years. Previously worked as independent contactor whilst going to school. Works with directors to CEO’s etc. that need objective analogy for prospective clients, . collects info via interviews makes recommendation, works with team . Considered wrongful death lawsuit as part of party. His companies employees over 450,000. Has had personal contact with those in entertainment field, knows a lot of people from that circle from attending school. Been in LA 9 years so social circle includes many. Father was burned, died in Atlanta Georgia. Is ok with similarities, can judge fairly for both sides, thought Michael favorable entertainer but unfavorable as person, but can be neutral. From the media etc, heard about Dr Murray but willing to hear evidence, not affected by what was heard. It’s not hard to except that big companies do wrong. Purchase “BAD” Cassette when he was in 4th grade for his uncle. Uncle had Thriller album.